While the private prison industry is receiving lucrative government contracts from the Trump administration and favorable policy shifts from the Justice Department allowing prison industry stocks to soar, a California Bill looks to bring a piece of redemption to the inequity of the private prison business. Assembly Bill AB 2303 introduced by Assemblymember Tony Thurmond proposes to provide a revenue stream for programs known to prevent incarceration such as preschool and after-school programs. It proposes to do this by re-directing profits generated by private prisons into a newly- created state fund for early educational opportunities. The bill imposes a 10% tax on private prison contracts with the state. Funds generated by the bill would be deposited into the State Incarceration Prevention Fund, to be administered by the California Department of Education (CDE). CDE will provide grants for preschool and after school programs for incarceration prevention programs. The private prison industry is a billion dollar for profit business that has been known to have no checks and balances when it comes to the treatment of inmates, slave labor, they have received complaints about poor food, inadequate medical care, disrespectful guards and female inmates have been removed from prisons after more than a dozen cases of alleged sexual abuse by guards. The industry has also been sued by many human rights organizations. AB 2303 was partly inspired by 13th a documentary by director Ava DuVernay that explores race and the injustice of mass incarceration in the United States. Author of the bill Assembly member Thurmond shared, “seeing this documentary was very devastating to me. It took me to place of considering how do we rectify this, how do we reconcile this problem that companies are profiting off of other people’s suffering?” He continued “It struck me to tax those companies that profit off of incarceration and force them to give some of their profit to the state to pay for the preventative programs and services”. While this California state bill AB 2303 fights its way to law, one of the country’s leading private prisons the GEO Group which has prison contracts in California continues gain profit with state and federal funds. GEO recently won a $110 million contract to build a federal immigrant detention center in Texas. The facility is expected to generate $44 million a year. It should be noted, the Geo Group held an executive retreat late last year at the Trump National Doral property near Miami. The executive meeting was the single-largest source of revenue for the Trump Organization property. The GEO Group also spent hundreds of thousands of dollars supporting the Trump campaign donating $225,000 through a subsidiary to a pro-Trump super-PAC. GEO also gave $250,000 to the president’s inaugural committee. Another leading private prison CCA-Corrections Corporation of America (which has prisons in California) annual report flagged criminal justice reform and highlighted reduction of mandatory minimum sentences—as a “risk factor” for its business. Californians for Justice, First 5 Contra Costa, LA’s BEST National Association of Social Workers, California Chapter Partnership for Children & Youth, Rubicon Programs and Think Together. Assembly member Thurmond shared, “Historically California’s spending for prisons has outpaced its spending for re-entry programs, for pre-school programs and for establishing new colleges and institutions of higher learning. I think that people are ­saying as a state we want our reserves going to programs that prevent incarceration and help those that have been in the system to be a success in re-entry”. He continued, “I believe this bill does that, it taxes existing revenue programs that the state has already committed to pay and it generates new revenue to go into prevention programs, programs that can reduce the overall incarceration of our state”. 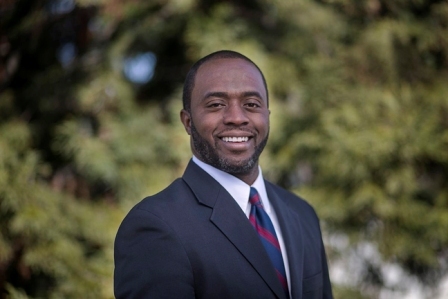 Assemblymember Tony Thur­mond represents the 15th Assembly District, comprised of the cities of Albany, Berkeley, El Cerrito, El Sobrante, Emeryville, Hercules, Kensington, Piedmont, Pinole, Richmond, San Pablo, Tara Hills, and a portion of Oakland.